Xiaomi has always been updating its custom MIUI by releasing timely Beta ROM updates. Xiaomi recently seeded the Android 9 Pie Based MIUI 10 Global Stable update for Xiaomi Mi Mix 3 and now it has released the MIUI 10 Global Beta ROM 9.1.17 for several Mi devices. 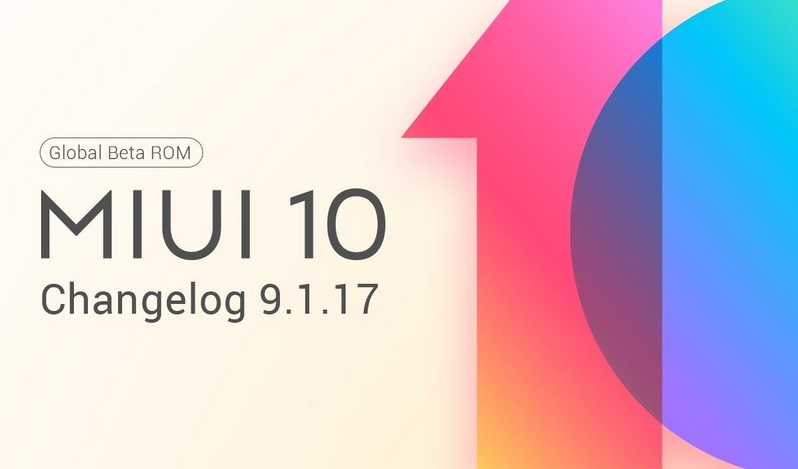 The MIUI 10 Global Beta ROM 9.1.17 is now available to download for Mi devices including Redmi S2, Redmi Note 5 Pro / Redmi Note 5, Mi Note 2, Mi MIX, Mi MIX 2S, Mi 8, Redmi 6A, Redmi 6, Redmi 6 Pro and more. Please do not erase all data or clear data of System Launcher on device like, the Redmi Note 3 SE, Redmi 3S, and Redmi Note 4 MTK after installing the 9.1.17 updates, otherwise, the launcher will be unable to start. Sadly the MIUI 10 Global Beta ROM 9.1.17 update has been delayed for Redmi 4X, Redmi Note 4 Qualcomm/Redmi Note 4X, Redmi 5 Plus, and POCO F1 due to errors. The full list of the eligible devices can be found on the official MIUI download page.